Mr. Stafford was appointed the 20th Director of the United States Secret Service (USSS) on March 4, 1999. Prior to joining USSS, Mr. Stafford served in the United States Army and completed a tour of duty in Vietnam, where he earned the Bronze Star. During his service, he was also awarded the Vietnam Gallantry Cross with Palm, Army Commendation Medal, Vietnam Campaign Medal, Vietnam Service Medal and the National Defense Service Medal. Mr. Stafford began his career with USSS in 1971 as a Special Agent. He rose rapidly to the managerial level, serving on a variety of assignments. He also served in supervisory positions in both protective and investigation assignments, including Special Agent in Charge of the Presidential Protective Division. He safeguarded Presidents, Nixon, Ford, Carter, Reagan, Bush (41) and Clinton. He served as Director under both President Clinton and President George W. Bush (43). Before being named Director, he held the key position of Assistant Director of Protective Operations where he oversaw all security for the agency. He is also credited with supervising several National Special Security Events including the Democratic National Convention, the Republican National Convention, Super Bowl XXXVI and the 2002 Winter Olympics. Mr. Stafford initiated an unprecedented recruitment and expansion effort aimed at diversifying the agency’s workforce and improving the quality of life for agents and other personnel. During his tenure as Director, USSS hired more than 1,000 additional agents and its budget increased substantially. He addressed the global nature of financial crimes by opening field offices in numerous foreign countries. Under his leadership, USSS aggressively targeted the growth of computer crime, establishing the nationwide Electronic Crimes Task Forces. USSS also created the National Threat Assessment Center to work with the Department of Education to prevent threats of school violence. Mr. Stafford supported the Secret Service’s forensic assistance to the National Center for Missing and Exploited Children (NCMEC), where he currently serves as Vice Chairman of the Center’s Board of Directors. Deeply committed to protecting children, USSS formed a strong partnership with the Boys and Girls Club of America at his Direction. In 2001, he was the recipient of the Most Distinguished American Award from the Marine Corps Law Enforcement Foundation, and in 2003, he was presented the Distinguished Patriot Award by the Sons of the Revolution. Mr. Stafford retired from the Secret Service in 2003 and has served on a number of for profit and non-profit boards. 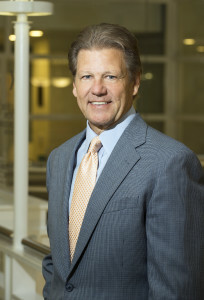 Mr. Stafford holds a Bachelor of Arts in Business Administration and an honorary Doctor of Humane Letters from Mount Union College, where he serves on the Board of Directors. He was also inducted into the Ohio Foundation of Independent College’s Hall of Excellence and received the Mount Union College Award of Excellence. Other commendations include, Presidential Rank Award, the Adam Walsh Rainbow Award, presented by NCMEC, and the Aguila Statue Award, presented by the Hispanic American Police Command Officers Association.